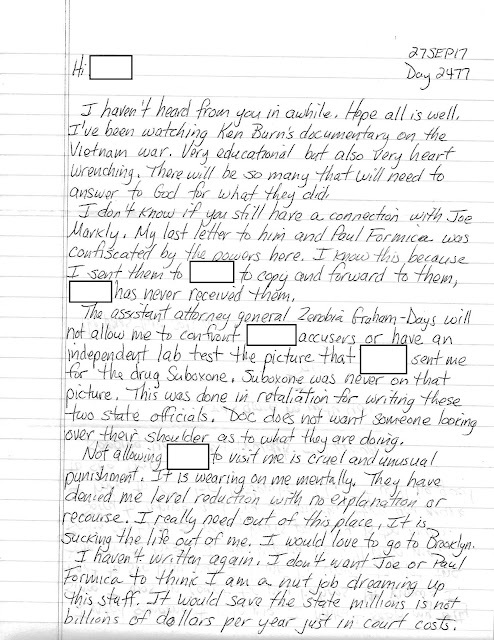 This is the seventy ninth installation of a periodic series of letters written to and from someone currently in the custody of the Connecticut Department of Correction. In this issue, our correspondent talks about the torment wrought upon him by his captors, in retaliation for standing up for his human rights and those of other prisoners. 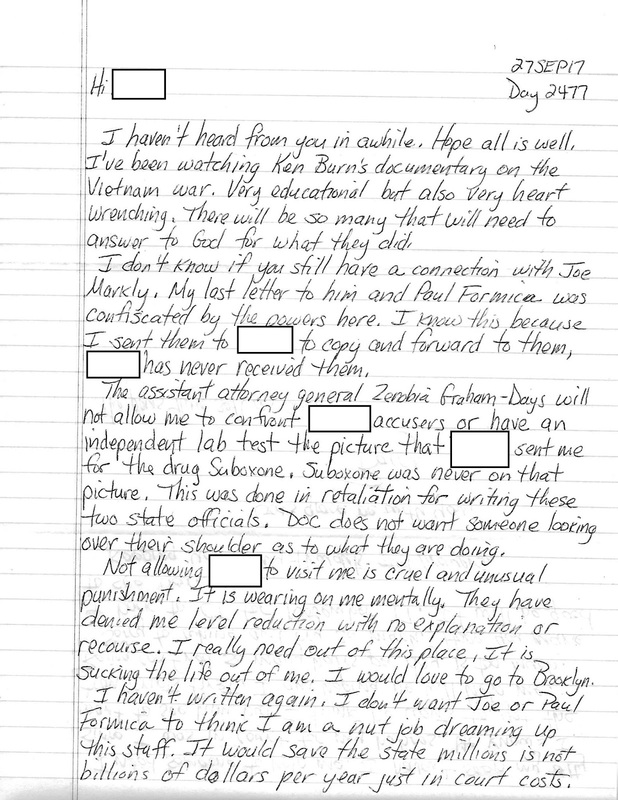 He talks about the pain of not being allowed to see his wife and the false excuses for the denial.